Just as the body has to be soothed to work with the poses, the inner layers need to be soothed to work with what’s underneath. Only when the activities of the mind are tranquil can we start to move through the gateway towards the soul. on an energetic and mental level. This is a Training in the Subtle Realm of Yoga which includes the Pranic Life-Force Body, the Mental Layer’s vibrations that affect how the rest of the body operates, and Buddhi, the higher intelligence within each of us. 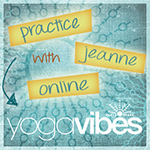 This training is for Yoga Teachers and Devoted Yogis who are looking to take their practice to the next level. Students should have steady asana experience that permits them to turn their attention away from general alignment and towards inner transformation. Thorough exploration of the Prana Vayus and how to use the different Vayus to improve a pose or a health limitation. Students will learn how to diagnose weaknesses to improve the effectiveness of their teaching. In-depth study and application of the Nadis and how they can affect one’s Asana, Pranayama and concentration. Introduction to the concept of Swara Yoga. Introduction to a variety of Pranayama practices including their benefits, risks and methods of application. Specific Pranayamas from the teachers in the Himalayan Mountains will be included. Detailed explanation of the Bandhas and how to access these important locks with ease. Students will learn the purpose for each and poses that allow them to awaken. Systematic introduction to the Chakras and the Asana and sequencing to access their qualities. Introduction to Kundalini and the purpose for activation. 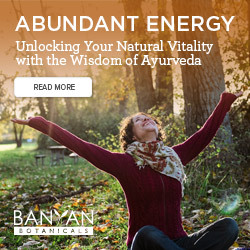 Gain knowledge of Tantric Kriyas, techniques that blend asana, breath, visualization and mudra to begin opening energy along the central channel.